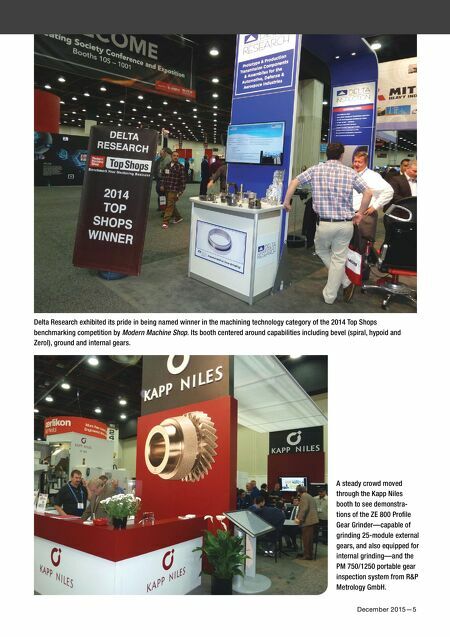 December 2015—5 Delta Research exhibited its pride in being named winner in the machining technology category of the 2014 Top Shops benchmarking competition by Modern Machine Shop. 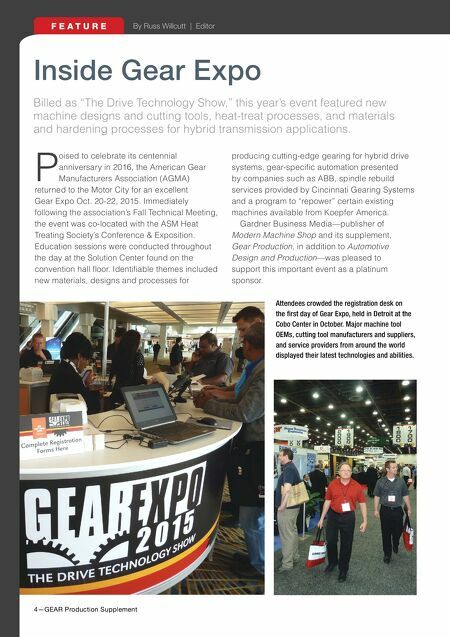 Its booth centered around capabilities including bevel (spiral, hypoid and Zerol), ground and internal gears. A steady crowd moved through the Kapp Niles booth to see demonstra- tions of the ZE 800 Profle Gear Grinder—capable of grinding 25-module external gears, and also equipped for internal grinding—and the PM 750/1250 portable gear inspection system from R&P Metrology GmbH.